As we move into the cold season, South Africa doesn’t seem to be letting up on producing quality events, and April is going to be one of the best months we’ve seen this year so far. If you’re wondering where to find yourself over the next month, here’s 11 of our favourite parties taking place in April. Part two of the Corona Sunsets Festival kicks off this weekend with another massive lineup of local and international stars. Following from the Cape Town leg in December last year, the immense production comes to Muldersdrift with Robin Schulz, Gorgon City, Culoe De Song, Lovebirds, Kentphonik and many more of South Africa’s best electronic music acts. The “people of the future” return for another top-class techno event at their raw and industrial venue, the container yard in Cape Town. Packing a few thousand people in between the huge steel boxes with a powerful Funktion One system, the party creates a unique aesthetic that caters to techno music perfectly. 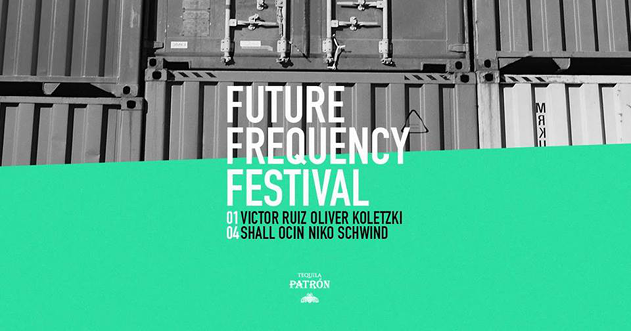 Featuring Shall Ocin, Oliver Koletski, Nico Schwind and Victor Ruiz, Future Frequency is ushering in a new wave of techno parties to South Africa. The ATOM crew are back at The Waiting Room for another night of low-slung deep house and techno. Supported by Irshaad Samaai and hosts Mikey & Shumi, they have invited the indelible Tonijah to launch his new EP, which will be released on Nomadiq Music next month. With a penchant for the finest ambient house and dub techno, ATOM have created one of the dopest parties in the underground scene in Cape Town. NT2 and And Club will host the Strange Signals EP Launch Tour in Gauteng on 1st and 3rd April respectively. The four-track EP released on Swedish Brandy Productions earlier this month and to promote the project, Kat La Kat has invited Eric Ericksson and Lars Berger to join him on this tour. As one of South Africa’s finest producers, this tour marks a big milestone in Kat La Kat’s career. After topping charts on national radio around South Africa, New Hero have grown in leaps and bounds and are now embarking on their latest project. For the first time ever, the duo are coming together to launch their live show, exclusively at the new District club in Harrington street, Cape Town. Supported by a stellar line up of Lakota Silva, Ameen Harron & The Cartel, Sabrina Alves, Ron X and Klinikal, this launch will be the culmination of this powerhouse electronic music band. The elusive Hyenah is finally marking his territory in South Africa for a much anticipated tour at the Truth and Hill Cafe in Johannesburg, Artisan Lounge in Durban and ERA club in Cape Town. 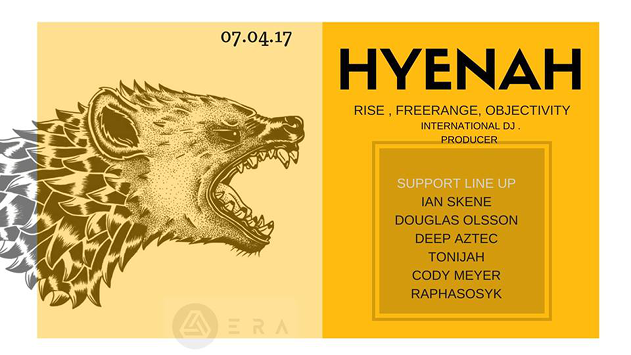 Releasing on Freerange and Objektivity, Hyenah has been pounding his African inspired house music across the world and is a regular at the Watergate event, Rise. With impressive support lineup at all the events, this is one tour you don’t want to miss. Over the last year or so, Splitmilk have become a force to be reckoned with in the Cape Town outdoor techno scene. The upcoming episode sees one of SA’s rising stars, Audiojerk, step up to curate the lineup for their party, bringing together a few names not usually booked on the same bill, including Tech Rider, Dkon vs Kong, Dave Ireton, Kyle Russouw and JED b2b D_KNOW. It’s topped off with international headliners Roberto Capuano and Florian Kruse. 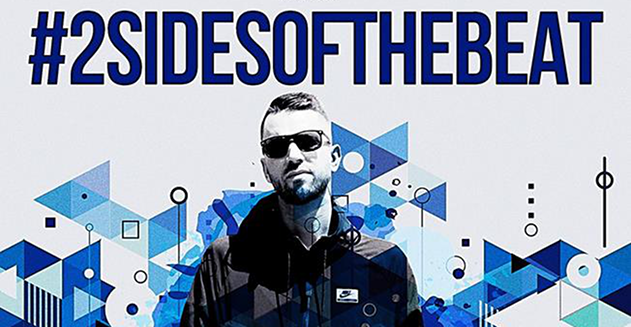 Having built a massive reputation at Kitcheners in Braamfontein, Johannesburg, Kid Fonque takes his multi-genre event to the Southern Coast, arriving at the famous Waiting Room for the first Cape Town edition of 2SidesOfTheBeat. Featuring White Nite, Daev Martian and a 3-hour set by Kid Fonque, the party will be an interesting exploration into the many genres that comprise urban music. 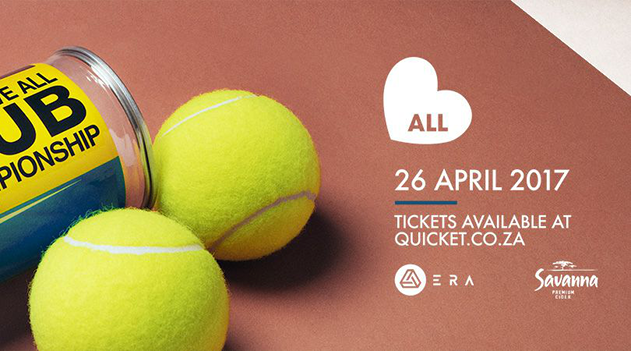 South Africa’s sexiest tennis party returns to it’s new home at ERA, bringing the best in forward-thinking hip hop and house music to an energised and welcoming atmosphere. In it’s eighth year running, LoveAll has become a staple in Cape Town’s party scene and is a favourite amongst those who have a hankering for a frivolous night out, while partying to a precisely curated DJ lineup. 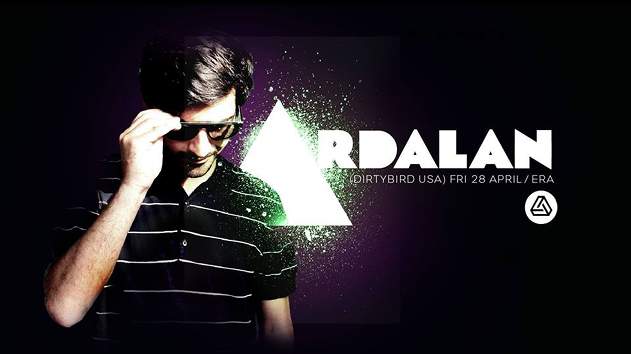 Dirtybird’s Ardalan comes to South Africa for the first time arriving at ERA on April 28th. The Iranian bass house producer blasted on to the scene with “Mr.Spock” alongside Justin Martin in 2010, solidifying his position as an iconic figure in the global bass house scene. Supported by Terrence Pearce, DJ Roulette, Phat Jack, White Nite and Plagiarhythm, Ardalan joins the Claude VonStroke, Justin Martin and J.Phlip as the latest Dirtybird artist to visit the country.